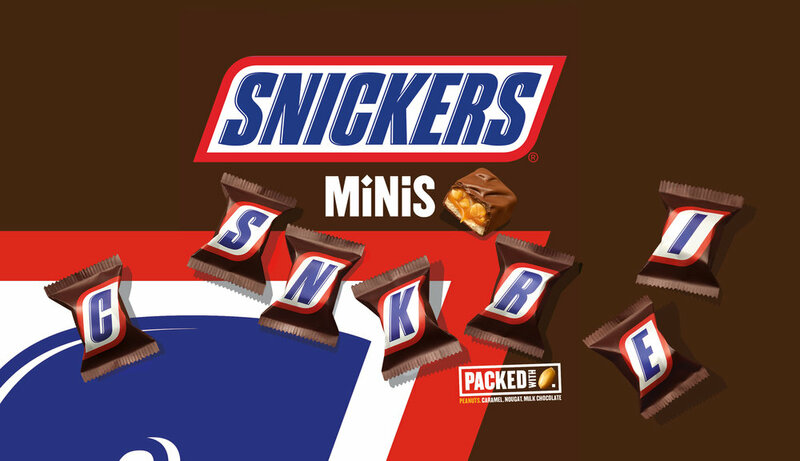 Snickers — Scott Grummett: Food Photographer & Director based in London. Last year I was commissioned by the top guys at Jonathan Knowles Ritchie to create a brand new toolkit of images for gargantuan chocolate bar brand Snickers. From the classic bar to bites, almond to peanut butter, we have shot them all including the Crisper, my new favourite chocolate bar of all time. Like a toffee crisp rice krispy cake Snickers. Ooft! For the foreseeable future every bar and every ad featuring snickers will feature work by myself and my fantastic team, food stylists Lucy Ruth Hathaway and Seiko Hatfield, model makers Millar Models and top assistants Sam Harris and Indi Petrucci. Special nod to the post production team at JKR.